Lots of great stuff in the Ubisoft Sale, but I already own the stuff worth having. 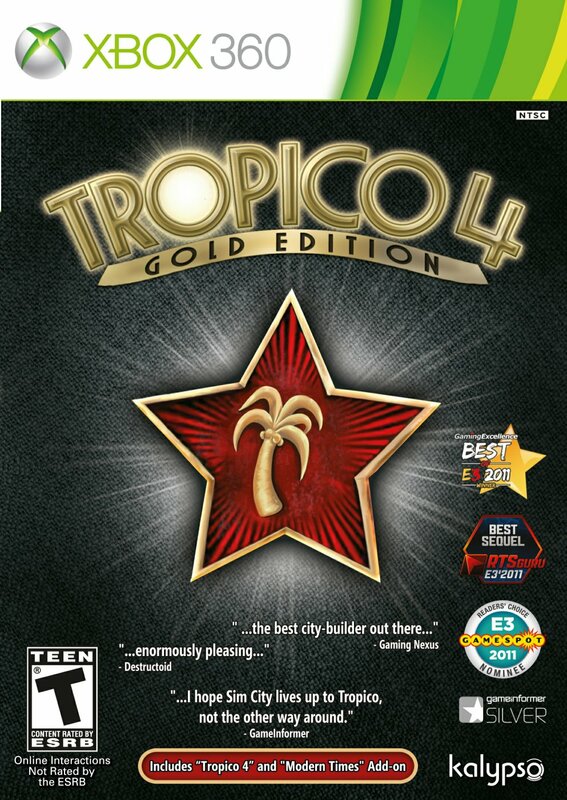 No interest in Tropico. I considered the Bomerman DLC, but since they don't have any achievements I'll pass. Fingers crossed for some good stuff in the THQ Sale later this week. and it's on sale at [Gamestop] right now. A possible Countdown to 2013 Sale list has been leaked. Some quality stuff in that list along with the usual suspects of course. Lots of great stuff, especially the 1st episode of Walking Dead FREE!!! Start stocking up on Microsoft Moon Dollars now, folks! It looks like Xbox caught onto the leak and shutdown the above links. No matter, we still have the list. Thanks to Google Cache, I've dug up the Avatar sale list. THQ Sale is live ... and sort of disappointing. Nexuiz for 200 MSP is a no-brainer if you don't already own it. I do. Saints Row the Third Season Pass is a good buy if you aren't getting the complete edition. Darksiders II Season Pass may be a good buy if you're dedicated to the upcoming DLC. Picked that up just the other day so no spending for me this time around. I was on the fence about Jet Set Radio, but decided against it. I remember being frustrated with the controls on the Dreamcast, and from what I've read they haven't improved.